Please arrive 10-15 minutes prior to your appointment. This will give you time to fill out any necessary forms, and ensure we start your appointment at the correct time. While you wait, please enjoy complementary refreshments, and familiarize yourself with our studio. Unfortunately, arriving late will result in cutting into the allotted time for your service, resulting in a non guarantee of a full, luscious set of lashes. We ask that you come to your appointment free of any eye makeup. If this is not possible we will require you to remove it with our oil free makeup remover before getting started with your service. Please refrain from using any oil based products 24 hours prior to your appointment. If you wear eye contacts be sure to bring your case and solution, as you may want to remove them for the process. This is not mandatory, but more for your comfort. For all services we require a 12hr cancellation notice. For all cancellations within 12 hours there will be a 50% charge of the appointment. If you cannot make your appointment and fail to notify us, 100% of the appointment will be charged. 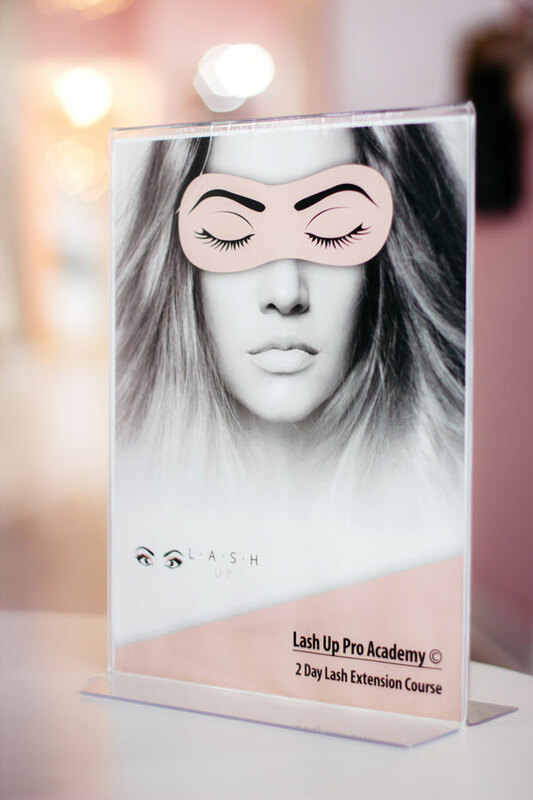 Please note you will be required to leave a credit card to hold any appointments when booking with Lash Up. In the unfortunate event you do not meet the requirements of our cancellation policy your credit card will be charged. Unfortunately, because our goal is to ensure high quality lashes, we do not work on lashes done elsewhere. This assures you are receiving only the best in the products used during the service. We will, however, be happy to remove your current lashes for you and start fresh! We apologize for any inconvenience.